Animal hoarding stories are nothing new - there are cases everywhere of people keeping dangerous amounts of animals in their home. For one New York woman, not only was she was hoarding almost two dozen dogs - they were living in her car. 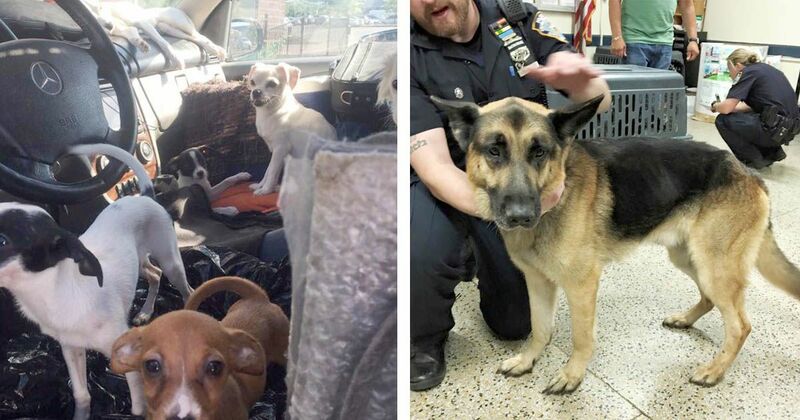 New York animal rescue group Adore-a-Bullie Paws and Claws contacted the woman who owned the dogs after others reported spotting someone driving in the Bronx with numerous dogs packed in to the car. The woman rejected the help – even after the rescue group offered her free food and veterinary care for them. But, a couple weeks after the rescue group contacted her, she reached out to Adore-a-Bullie after one of her puppies hadn’t eaten in a few days and suffered from a rectal prolapse. The woman kept asking when she could get the dog back but the rescue group decided to do something about the situation – they contacted the authorities. Adore-a-Bullie told authorities the severity of the situation, and the NYPD was able to track down the Mercedes-Benz SUV. What they found shocked them. Inside the car was over 20 dogs – mostly puppies. Not only were they trapped in the car, it had been quite warm out recently and they were all surrounded by their own feces. In total, 22 dogs were rescued from the SUV. Many of the animals were in poor health. One six-year-old German Shepherd, Bruno, was underweight. Many of the rescued puppies were not healthy. Based on the smell coming from the car, officers suspected many of the dogs had lived in the car for their entire lives. The owner was described as "emotionally disturbed" by police and was taken to a nearby hospital. (The Dodo). Luckily, all of the dogs that had health problems are expected to make a full recovery. Though many of the rescued dogs have never known life outside a car, they are adjusting quickly. They are opening up and starting to trust people. And, they’re now available for adoption! If you’re interested in adopting one of these amazing pups, contact Adore-a-Bullie here or Bobbi & the Strays (where some of the dogs went) here.